Bosnia and Herzegovina Issues Invitation For Eurovision Song Contest 2010. BHRT (Radio Television of Bosnia and Herzegovina) as the national broadcaster has begun searching for participants for national semi-finals after they confirmed participation for the Eurovision Song Contest 2010 in Oslo, Norway. Like every country, Bosnia and Herzegovina have their own rules about participating in their national contest. Each song must be performed for the first time in the national contest and the maximum length is 3 minutes. The singer/band needs to have experience in music shows, TV shows or concerts. No more than 6 persons can be on stage, including vocals and backing vocals. Participants cannot be younger than 16 years and they must have citizenship by Bosnia and Herzegovina, although writers do not have to be Bosnian nationals. Applications can be sent until 20th December 2009. The winning song will be chosen by an internal jury and will be presented to the Bosnian public in a special programme on 7th March. 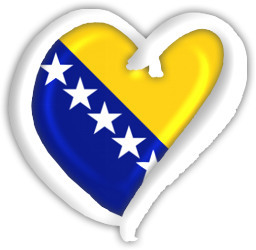 Below you can watch the Bosnia and Herzegovina song from the 2009 contest.